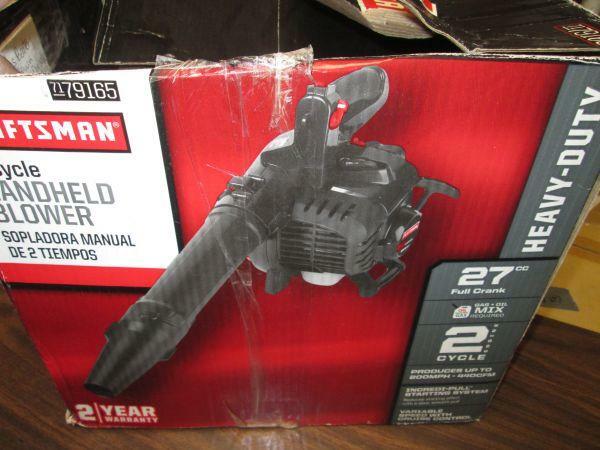 One craftsman 2cycle hand held blower. 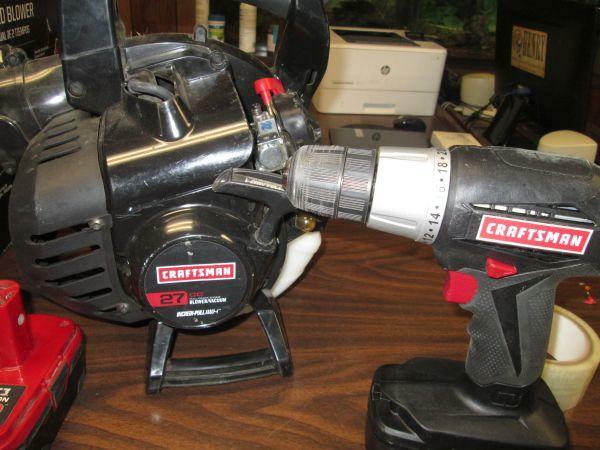 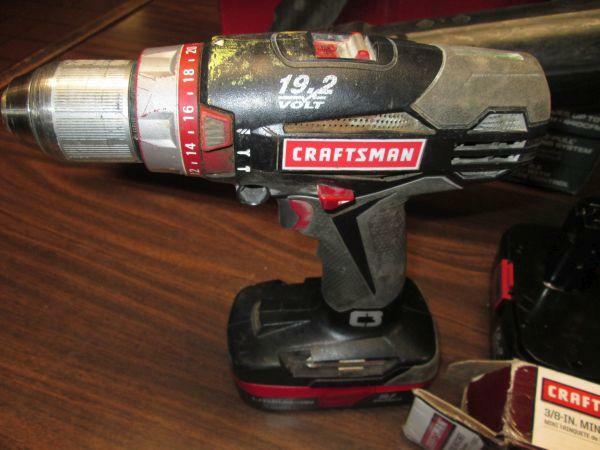 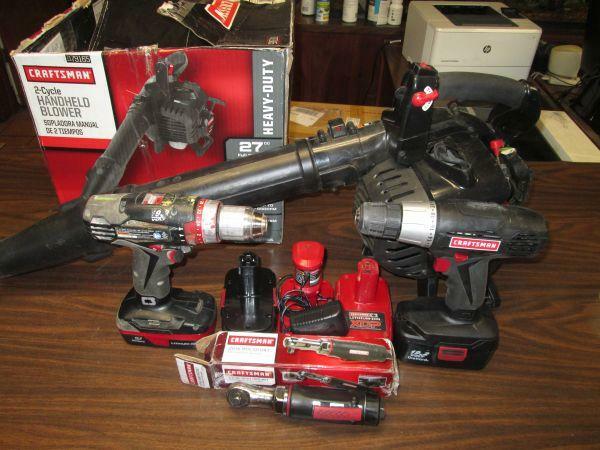 Two 19.2 volt Craftsman cordless drills with Five batteries: 3 larger capacity and 2 smaller. 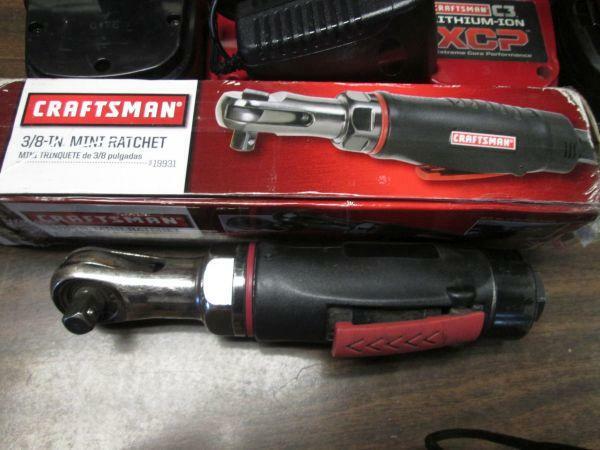 One 3/8 inch Craftsman mini air rachet. 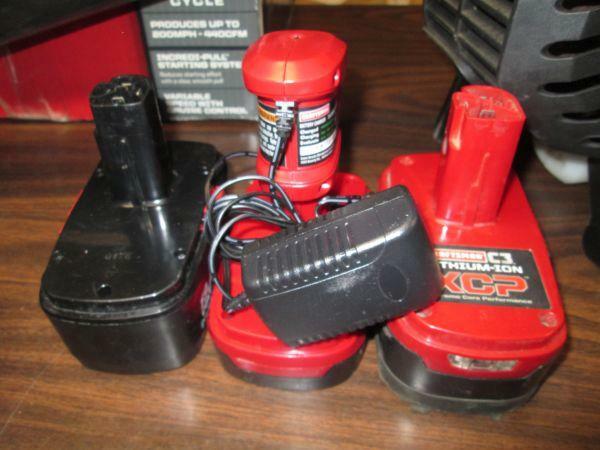 All items untested.